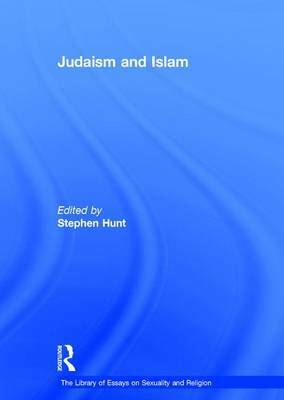 This volume on Judaism and Islam in The Library of Essays on Sexuality and Religion series overviews perceptions of human sexuality through two major monotheistic faiths, namely Judaism and Islam. Part 1 presents previously published articles on Judaism and sexuality from a historical perspective, in particular, through the writings of the Tanakh and traditional Judaic attitudes. Part 2 focuses more cogently on contemporary themes including both the contestation and defence of conventional Jewish standpoints on sexuality via orthodox and liberal renderings of the faith. Part 3 includes articles examining Islamic views of sexuality from a historical perspective. Here there is a special focus on the faith's construction of sexual categories, as well as the relationship between sexuality, gender and patriarchy. Part 4 takes a cross-cultural and global perspective of the subject with a particular emphasis on the connection between sexuality and moral regulation, besides scrutinising varying and contrasting cultural attitudes in Islamic communities today.